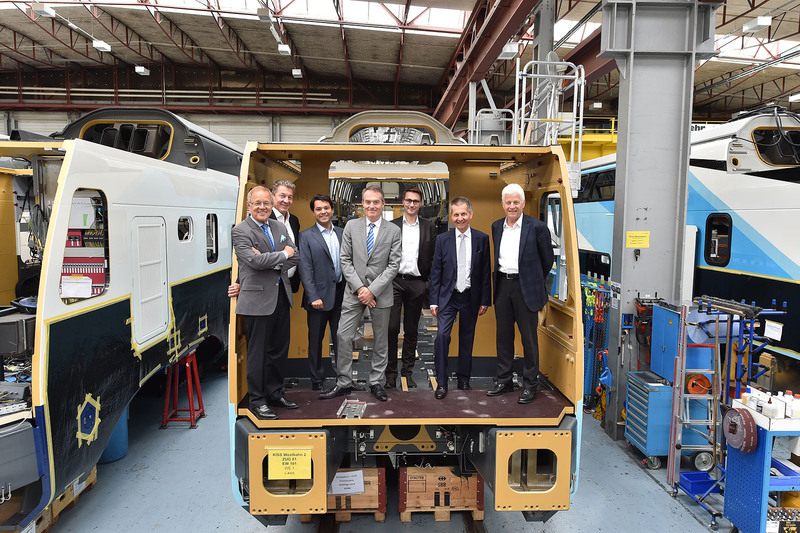 On 06.07.2016 the supervisory board of Westbahn’s parent company Rail Holding AG visited Stadler Rail’s double-decker competence center in Altenrhein, Switzerland. 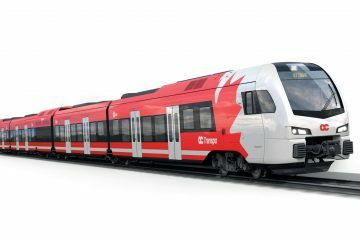 The Swiss train manufacturer presented the second series of KISS trains they currently have under construction for Westbahn to the board members. Westbahn is an open access passenger operator running fast passenger services connecting Vienna (Westbahnhof) with Salzbug (Hauptbahnhof) in Austria. It started revenue earning services in December 2011. 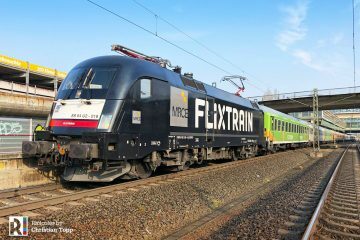 The French state railways (SNCF) hold a 26% share in Westbahn. 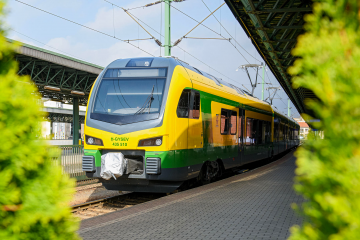 Westbahn’s operates seven six-car double deck KISS trains from Stadler. In 2015 it became clear that Westbahn had decided to expand it fleet. 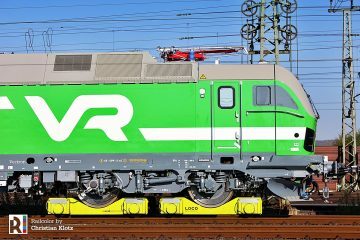 Again Stadler Rail was selected as supplier. 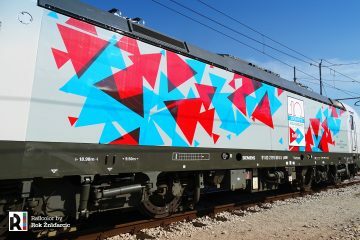 With the second batch, Westbahn is to double its fleet. 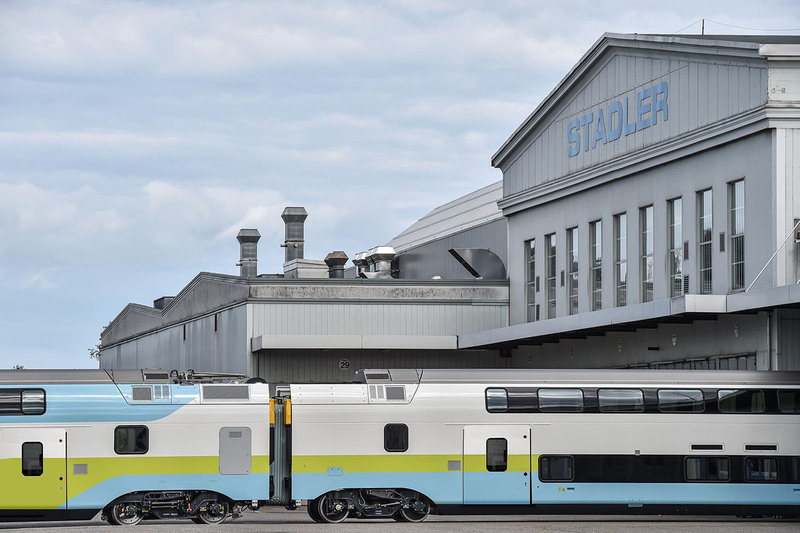 As of 2017, Stadler Rail will deliver nine four-car trains and one six-car composition. The order has a value of 180 million euros. Westbahn refers to these trains as ‘KISS 2’. With the new trains, Westbahn wants to expand its service network. First expansion will be halting trains at Vienna at the new Hauptbahnhof. 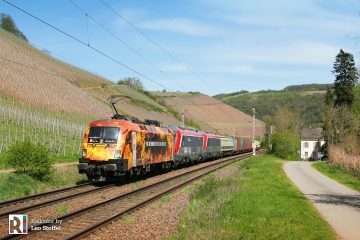 Also new transport contracts in the Vorarlberg area are of interest to Westbahn. The KISS 2 exterior design will be different from the first Westbahn generation. The color scheme is similar, but the colors have been applied differently. Also, the new trains have an improved front cab design. An improved bogie design should enhance rider comfort. 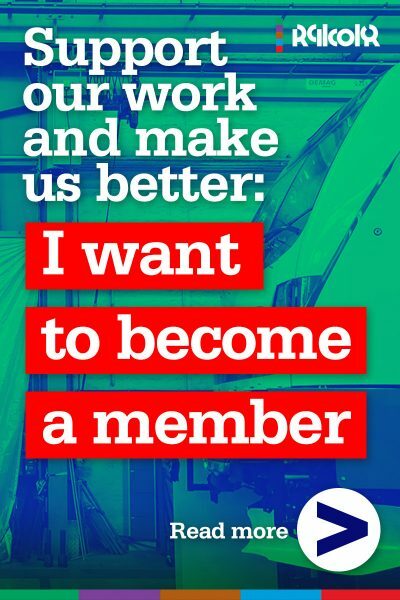 Unlike the first generation, the new trains will be completely pressure-tight and have single-leaf doors. Air pressure and shock waves, especially in tunnels at high speed, proved to be problematic many times, so these features should address these issues. KISS 2 will be able to accelerate faster, which should reduce the travel time between to 2 hours and 10 minutes. New will be the West cafes on board and improved wifi connectivity. 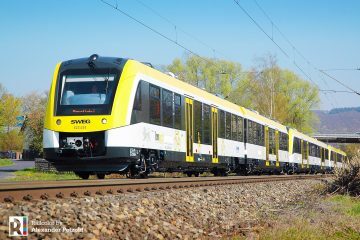 Stadler Rail has the first Westbahn KISS 2 ready for tests within 18 months after the order was placed, which is fast. Testing and commissioning will take place during the upcoming months. The first revenue services with the KISS 2 are planned for the summer of 2017. 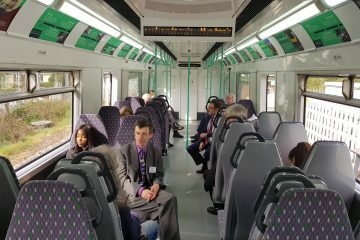 As you see, only two images have been released so far, none of them showing the final design of the cab of these new trains. We are curious, just like you!